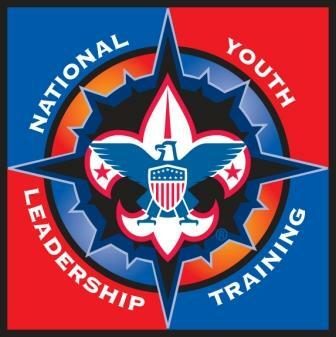 NYLT is part of the BSA’s youth leadership training continuum. The parts are connected by the common values, skills, and applications being taught. The first level (ILST/ILSC) is conducted at the unit level by the unit’s youth and adult leaders. The second level (NYLT) is conducted by the council. The third level (NAYLE) is conducted at one of the BSA’s national high adventure bases. The Kodiak Challenge is an experiential trek-based course offered by the unit or council. 1. Be a registered Scout, BSA age 13 and First Class (If you are Registered in a Girl Troop then you don't need the First Class Rank), or a registered Venturer, aged 14 – 20. NYLT is open to both male and female Venturers. 2. Have completed the Introduction to Leadership Skills (ILST/ILSC) course for your program. 3. Have Scoutmaster/Advisor approval and, if under 18 years old, parent/guardian consent. 4. Be comfortable living in the outdoors. A previous resident camping experience is ideal. When registering for NYLT, you are encouraged to sign up early to take advantage of the lower rates and avoid late fees. If you are not paid IN FULL at the time of a rate increase, the amount owed will increase to the higher rate.